Filo is here to help youfindeverythingthat matters. and do not forget anything anymore. Insert Filo into your wallet and use the Filo app to locate it by making it ring or check where you last left it behind on the map. Attach Filo to your bag and activate the Comfort Zone. Be notified on your phone the moment you leave your bag behind. Simply press twice the button on Filo and your smartphone will ring, even when it’s in silent mode. 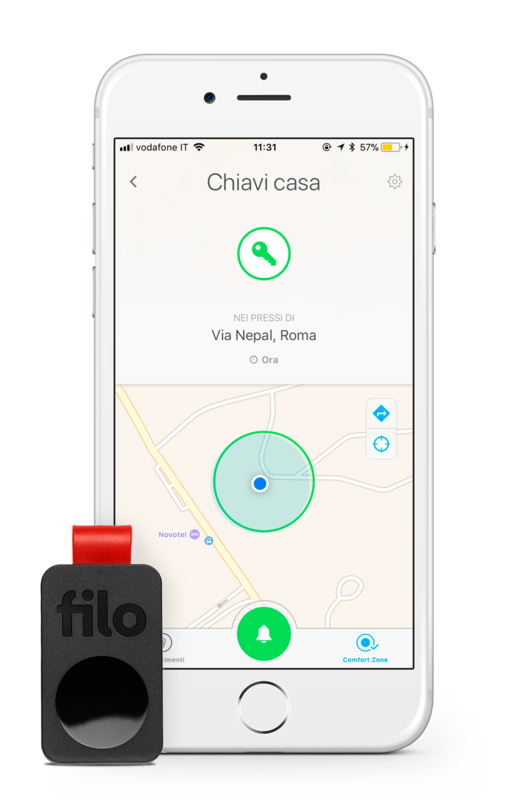 Attach Filo to your keys and pair it with the Filo app on your phone. Now you can easily ring your keys and find them fast.